The issue has created a national firestorm. 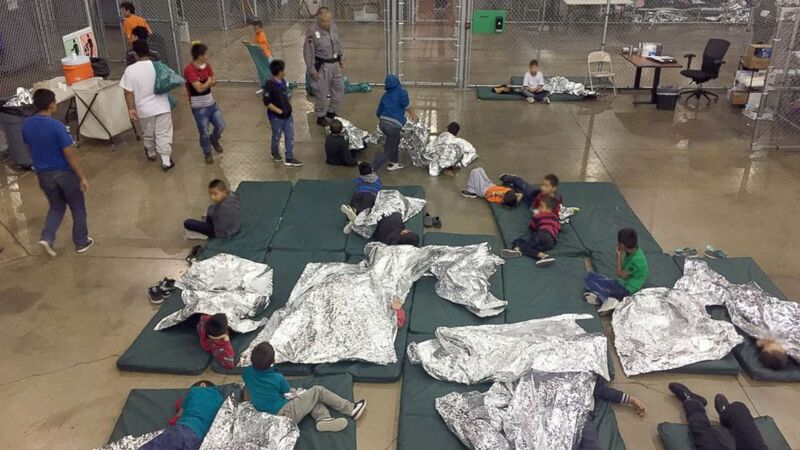 The debate over separating immigrant children from their parents is raging at the southern border and across the country, as images from the centers housing the kids have shown them, in some cases, inside structures made of chain-link fencing. 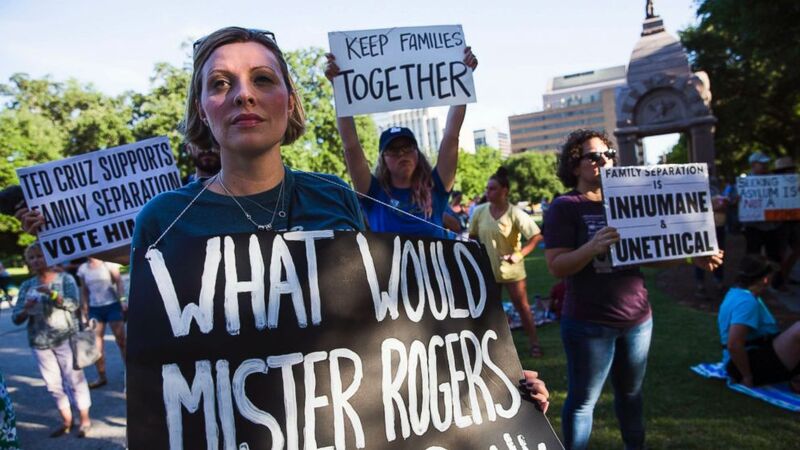 (Amanda Voisard/Statesman.com via AP) Demonstrators gather to protest against the separation of immigrant families at the border in Austin, on June 14, 2018, in Austin, Texas. 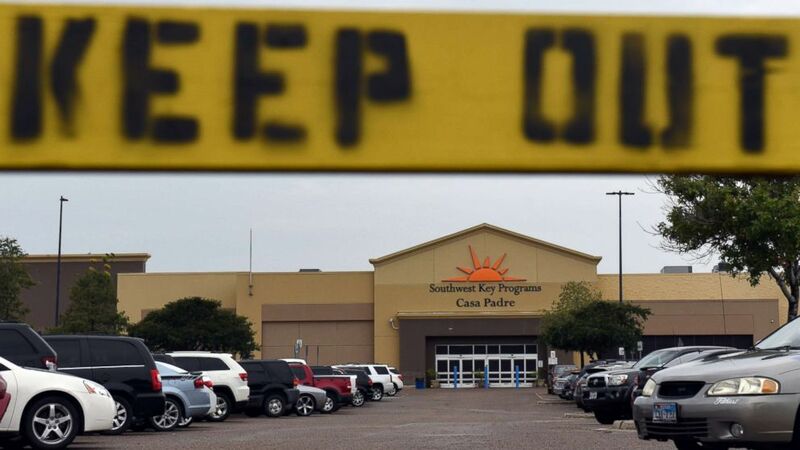 ABC News chief national affairs reporter Tom Llamas visited the Casa Padre detention center in Brownsville, Texas, with other reporters last week. (Callaghan O'Hare/Reuters) Casa Padre, an unaccompanied minor shelter, is seen in Brownsville, Texas, June 18, 2018. The capacity is 1,497 people and on the night of Llamas' visit, 1,469 children were sleeping there, meaning the facility was at 98 percent capacity. They needed an extra bed in each room, so now there are five beds inside a 240-square-foot space, according to the government contractor. Only two hours are spent outside -- one hour in the morning and later in the afternoon -- and there are soccer fields and basketball courts for the kids to use. (Handout/EPA via Shutterstock) An undated photo released by the Department of Health and Human Services shows a classroom inside a facility that houses unaccompanied migrant children crossing the U.S. border from Mexico at Casa San Diego in El Cajon, outside San Diego, Calif. 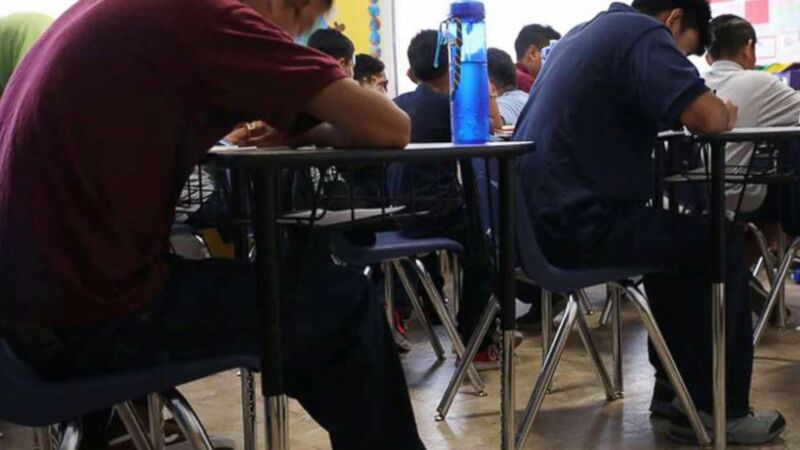 The system, which includes the separation of parents and children, stems from a "zero tolerance" policy U.S. Attorney General Jeff Sessions issued in early April. 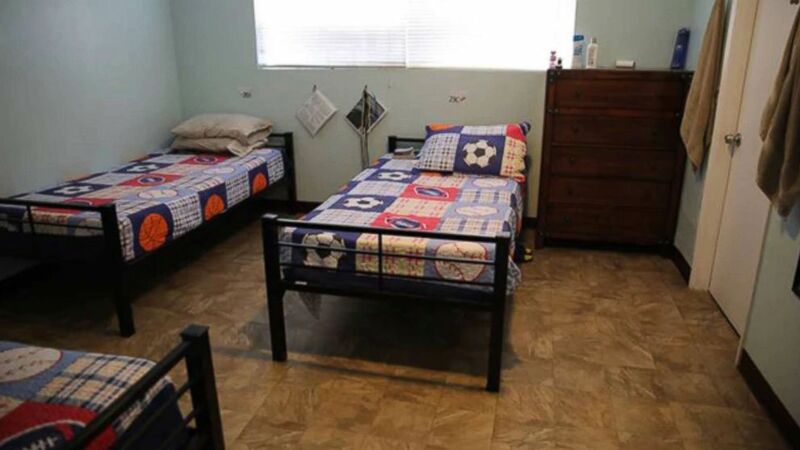 (Handout/EPA via Shutterstock) An undated photograph released by the Department of Health and Human Services shows a bedroom inside a facility that houses unaccompanied migrant children crossing the U.S. border from Mexico at Casa San Diego in El Cajon, outside San Diego, Calif.
ABC News has been unable to determine the exact number of children being held by DHS, but The Associated Press last week obtained details on the number of children who have been separated from accompanying adults in the past two months as part of the administration’s policy. 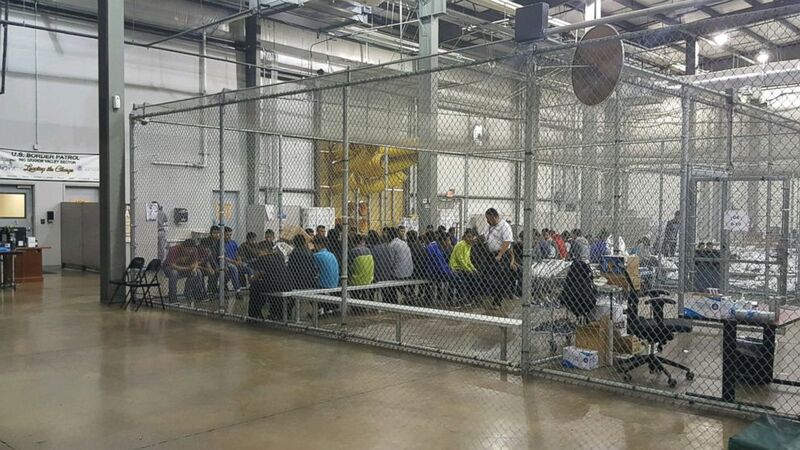 (US Customs and Border Protection) People sit in a cell at the U.S. Customs and Border Protection agency's Rio Grande Valley Centralized Processing Center in McAllen, Texas, June 17, 2018. 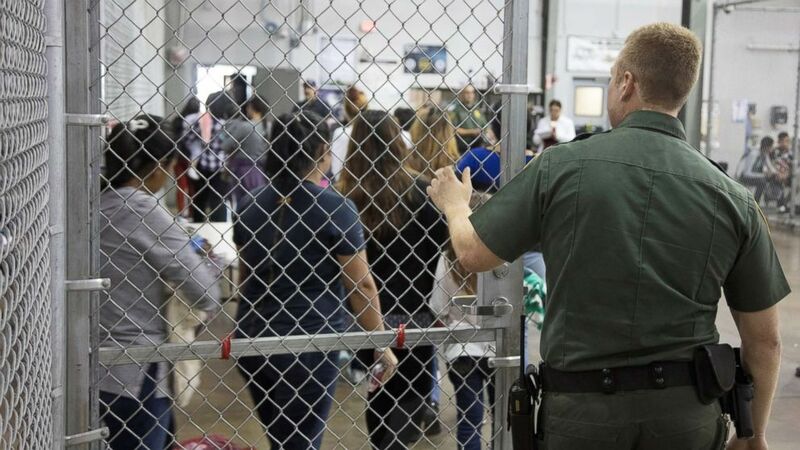 Before entering the detention centers, which the Department of Health and Human Services calls shelters, the children and adults go through processing centers. (U.S. Customs and Border Protection) Customs and Border Protection released new pictures from inside the centralized processing center in McAllen, Texas, June 17, 2018. The facilities are run by private contractors hired by the Department of Health and Human Services.